A Zabuton is a space conscious cushion designed for lounging and meditating on. Typically in Asia, a Zabuton is used in a seating arrangement replacing chairs and sofas. 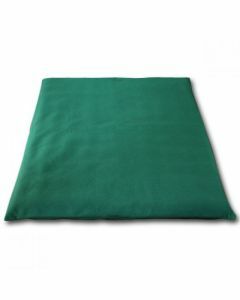 In meditation the Zabuton can act as a base for your Zafus or an independent meditation cushion. Zabuton’s offer a portable, space conscious and inexpensive alternative to standard living room space décor. Their minimalist, contemporary style gives a serene ambience to your living space. Our Zabuton range is offered in 3 distinct varieties to accentuate your room. Silklook, rayon and Tatmi Weave. Our complete Zabuton range is shipped promptly from our Santa Fe warehouse insuring the Zabuton arrives promptly and affordably.